The Alpha Field Kit was first released in 2004 as a request from customers looking for a complete field starter kit offering everything you need to get a top quality field up and running. The Alpha Field Kit was first released in 2004 as a request from customers looking for a complete field starter kit offering everything you need to get a top quality field up and running. Today it is our top selling field starter kit, and the most copied field package on the market. Since 2004 our Alpha Field kit has been updated with the latest and greatest field equipment offered today. We offer this kit with either C02 or Compressed Air options. 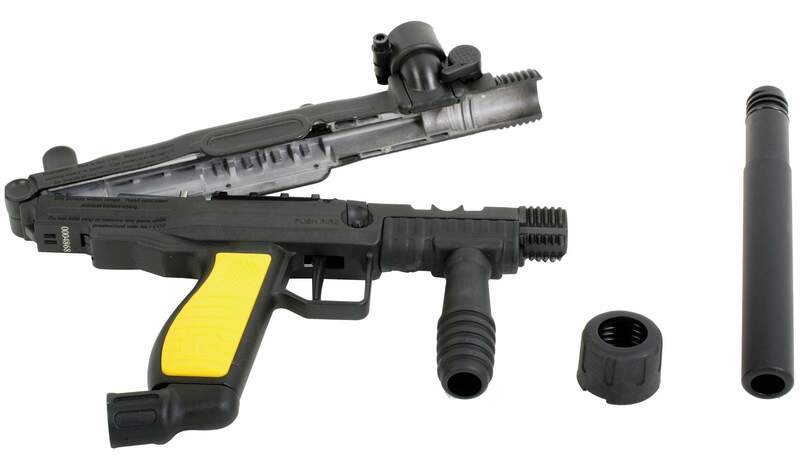 The marker featured in this package is the Tippmann FT-12 Marker. These markers are among the best field rental markers available to date, and maintain high standards for durability while offering great performance. You can break this marker down in less than 15 seconds and access its internals on the field while it is still pressurized! Spend more time with your field rental markers on the field than waiting for a chance to break them down with allen keys. Don't want the Tippmann FT-12 Marker? Rather have a different Tippmann, Spyder, or even an Ego? No problem. We can custom make any field package to your specifications. Just contact us and we will take care of it! Want to change the markers to a different Tippmann, Spyder, or other marker? No problem. We are glad to create a custom package just for you. Also included with every field package is a full 1 year of tech support. Did You know that Alpha Sports has been custom designing paintball field packages for over 13 years? We are the largest supplier to the US Military, US Colleges, and Independent Paintball Fields worldwide! This is an honor for us and we could not have made it this far without standing behind our products and our customers. Give us a call and allow us to talk about your business and what Alpha Sports can do for you.